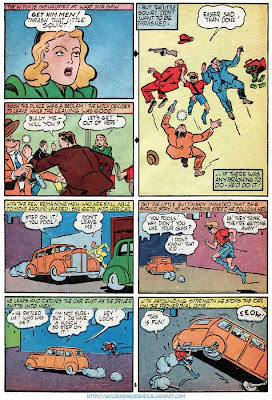 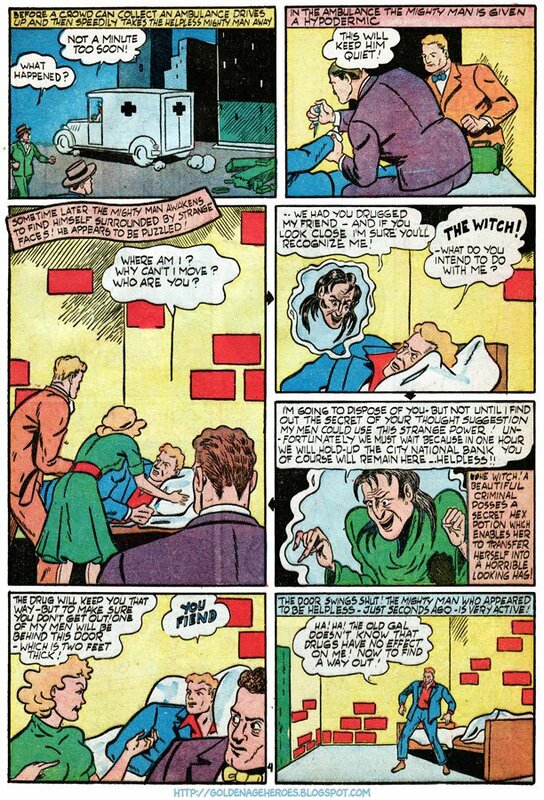 Golden Age Heroes: MIGHTY MAN vs the Witch! Mighty Man was pretty darn mighty! 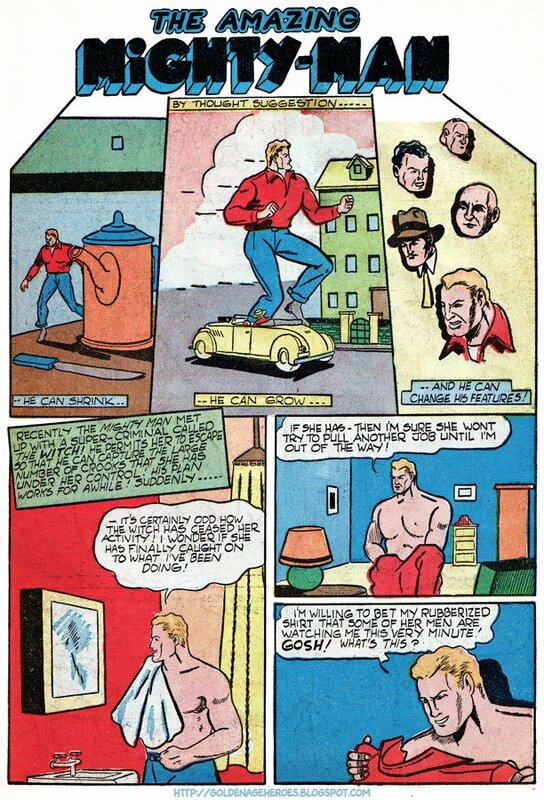 He could grow, shrink, change his features, was impervious to drugs. 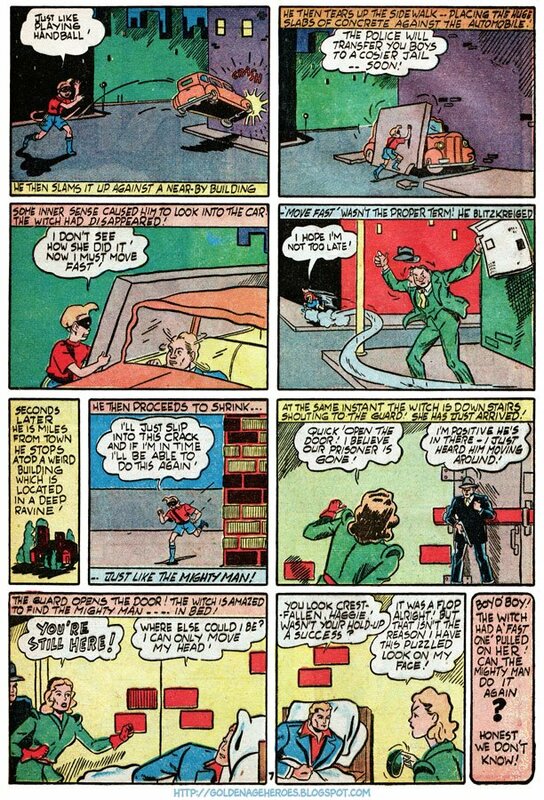 In other stories he was even able to grow his appendages, Plastic Man-like, and stretch his leg across the path of escaping criminals. 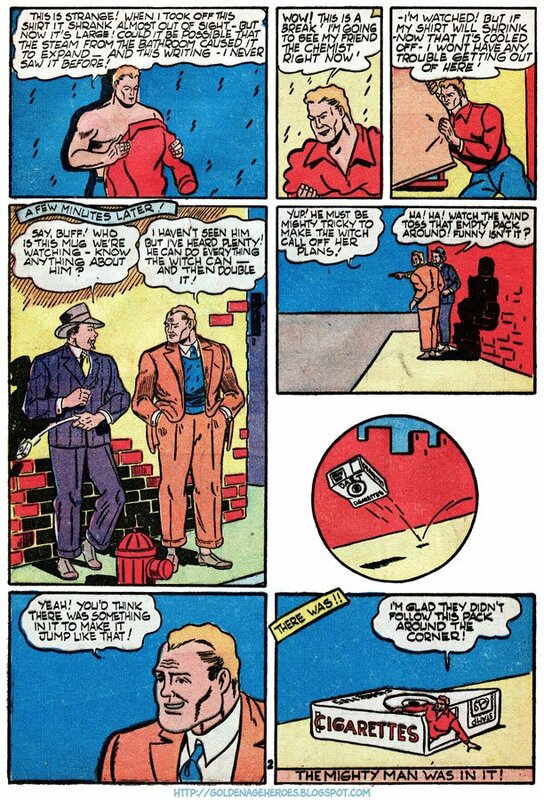 I'm not sure they was much that Mighty Man couldn't do, except possibly fly! Mighty Man debuted in AMAZING MAN COMICS #5 (Sept 1939), which was the first issue of that series. 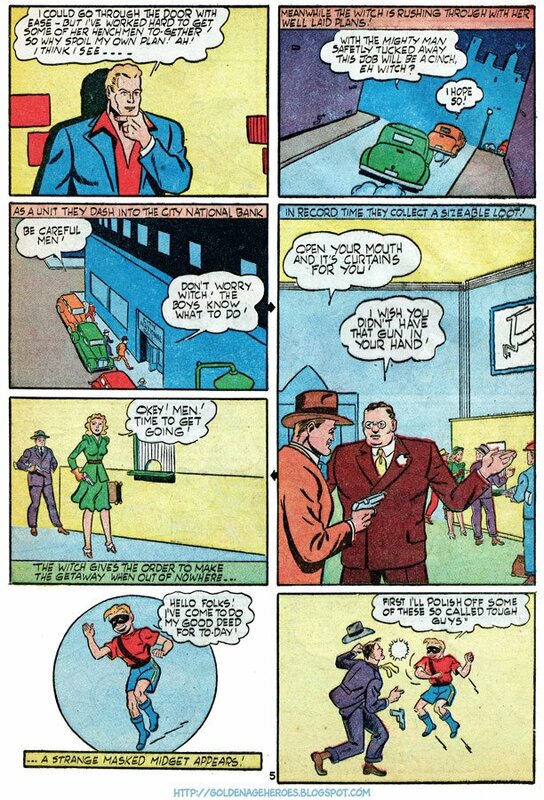 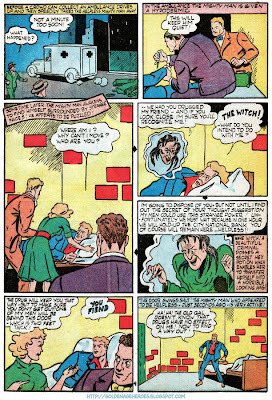 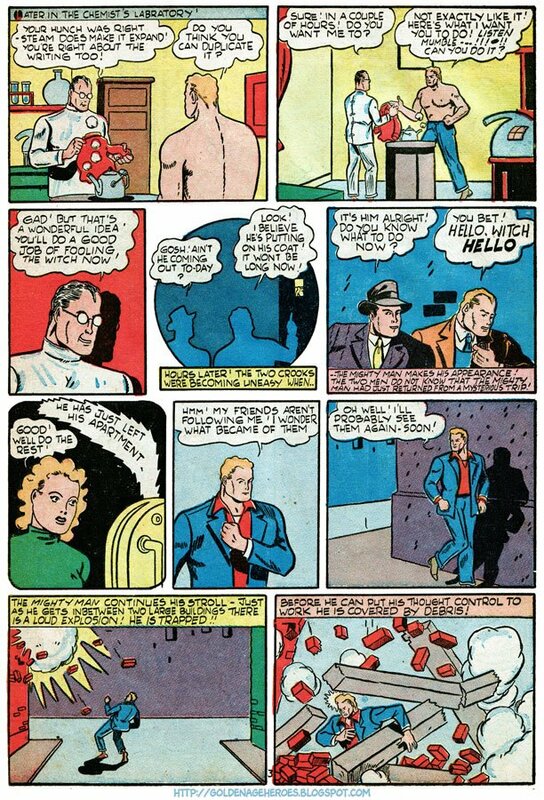 He made it through to the next-to-the-last issue #25 (Dec 1941). 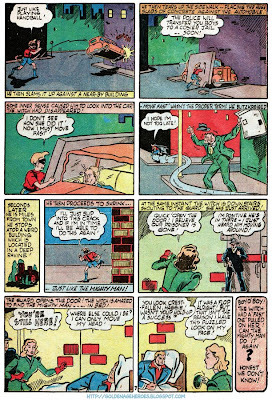 He also appeared in the complete run of STARS AND STRIPES COMICS (#2-6, May-Dec 1941). Read more about Mighty Man at Toonopedia.